Sheryl Wilson, ARNP-C is a licensed Nurse Practitioner with more than 20 years of experience in internal medicine ranging from Cardiology to Nephrology. She is certified with an Associate Degree in Nursing, and a Masters Degree of Science in Nursing and Nursing Education. Sheryl is certified in our VBeam Laser Treatments and has extensive injectable training with various fillers and toxins. Sheryl Wilson, ARNP-C is board certified by the Florida Board of Nursing and the American Academy of Nurse Practitioners. 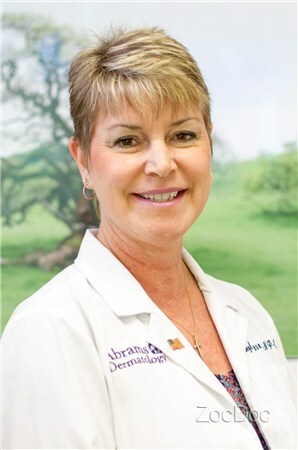 She is active in the community and is an active member of the Manatee Council of Nurse practitioners, the Sarasota Chapter of Nurse Practitioners, Florida Nurse Practitioner Network (FNPN) and the American Academy of Nurse Practitioners (AANP) certified. Sheryl lives in Sarasota with her family and enjoys RV’ing and the outdoors. ARNP-C stands for Advanced Registered Nurse Practitioner Certified. An ARNP is registered nurse who has completed graduate level training and received a Masters degree in nursing. Sheryl passed a national board certification to become licensed as an ARNP. ARNP’s in dermatology are able to diagnose, treat, perform minor surgical procedures, and provide various cosmetic therapies. In addition to providing clinical care, ARNP’s also focus on health promotion, disease prevention, and patient education. ARNP-C is board certified by the Florida Board of Nursing and the American Academy of Nurse Practitioners. Member of the American Academy of Nurse Practitioners (AANP) certified. Extensive training in injectable, fillers and toxins.